Congratulations on your engagement! When it comes to the most important day of your life you need to know your DJ has the ability and skills to get everyone on the dance floor. This is why we here at Fusion Sound & Light only supply full time fully insured DJs who have worked with all different DJ environments. Giving you the extra knowledge that your personal music styles will definitely be played. Your wedding reception should be something to be remembered for the rest of your life and our Wedding DJs are there to not only help you plan your day, but to also make it a party to remember, for both you, your partner and your guests. From the moment your guests step into your wedding reception, right until your very last dance. Your DJ will make sure everyone is having a truly romantic time. We can help you with your own personalized playlists, special mixes for your first dance, background music during your wedding breakfasts, microphones for speeches and also great lighting effects and dance floors. We can tailor all your DJ package to tie in within any wedding theme. From colours to decor and even personalized lighting designs for your very special evening. 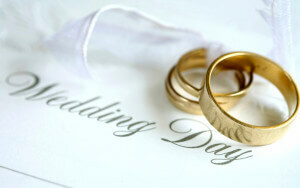 We can also provide extra services to make sure your wedding day is the talking point for years to come!